As of today, 93 bodies have been recovered from the fuselage of QZ8501 with 68 of them being identified. There have also been reports of a body being recovered wearing a pilot uniform from the cockpit area. The mystery that still remains is the exact nature of the events which caused the aircraft to stall and to apparently depart controlled flight. As detailed in an earlier post, the aircraft climbed at a very high vertical speed to nearly 38,000ft followed by sounds of stall warnings being heard on the cockpit voice recorder. Modern airliners are not supposed to stall. All transport category aircraft certificated for commercial service are equipped with elaborate stall warning systems which are designed to give clear audio and tactile (stick shaker) warnings for even an approach to a stall. Some aircraft manufacturers have gone even further in designing flight controls and other automated safety systems which will not even allow an aircraft to be flown into a stall. Airbus, the manufacturer of the A320 flown as QZ8501, is one of those aircraft builders. Airbus, a consortium of European aircraft manufacturers, revolutionized the industry by introducing the first "fly by wire" commercial airliner, the A320, in 1987. "Fly by wire" means that there is no mechanical connection between the controls in the cockpit and the wings as has historically been the case. With this aircraft, the cockpit control stick merely provides electronic signals to a computer (actually a series of computers) which interpret the pilot's intent. The computers then generate commands for the hydraulic servos which actually control the ailerons, elevators, and rudder. The world's first successful heavier-than-air powered airplane was the Wright Flyer. The Wright brothers developed a system to steer the aircraft which actually warped the wood and cloth wings using cables fastened to the body. They later developed and patented a system of hinged flight controls which still provides the basis for aircraft control today. As aircraft size, speed and complexity grew, new systems of mechanical linkages were employed to connect cockpit controls to flight control surfaces. Hydraulically powered flight controls were introduced in the post WWII era when aerodynamic forces became too great for human strength to overcome. These controls were, however, still controlled through direct mechanical linkages to the cockpit. An ongoing objective of aircraft designers over the years has been to find ways to reduce the weight of their designs. A lighter aircraft can carry more payload, more fuel, has increased range and is more economical to operate. In the 1980s, Airbus felt that computer technology was mature enough for them to design a commercial aircraft with a fully digital flight control system. This system would replace all the pulleys, cables and other mechanical linkages between the cockpit and the wings with electronically controlled servos to command the hydraulic flight controls. There would be no direct mechanical linkage between pilot and wing. It would also save thousands of pounds of weight. Airbus went even further in their revolutionary design realizing that with computer control, they could design an aircraft that could not be mishandled by an errant or distracted pilot. In effect, the pilot was no longer in direct control of the aircraft but merely got a "vote" in how the aircraft was to be flown. And his vote could be overridden by the computer if a preprogrammed rule was violated. So should a pilot inadvertently attempt to fly the aircraft into a stall, the computers would intervene to lessen the angle of attack to prevent the wing from stalling. You can theoretically pull fully back on the stick all day in an Airbus and the airplane won't stall. At least that's how it should work. And in a normally functioning airplane that is how it does work. But something was amiss in the cockpit of QZ8501. News reports from the investigation now indicate that there might have been a problem with the aircraft's flight augmentation computer (FAC). There have been unconfirmed reports that the FAC had had recent mechanical difficulties, and that Captain Iriyanto, the pilot in command that night, may have been aware of the problems. 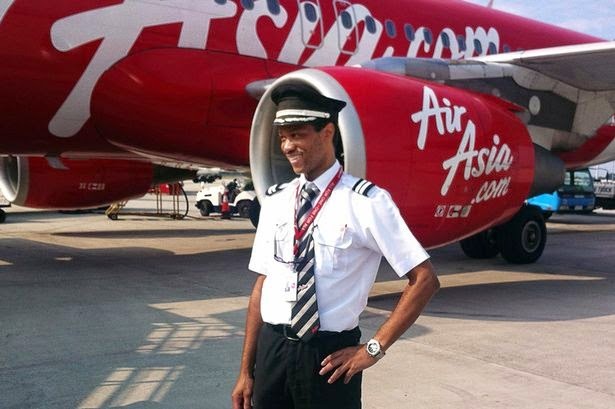 Data from the cockpit voice recorder now indicate that at some point just prior to loss of control of the aircraft, Captain Iriyanto transferred control of the airplane to First Officer Remy Plesel and got out of his seat for the purpose of pulling the circuit breaker controlling power to the FAC. This is considered a highly unusual course of action as a more normal procedure would be to reset the computer from a switch on the overhead panel if it was warranted. For some reason the captain felt that a reset was not appropriate and that the computer should be depowered. Now as I've mentioned above, the Airbus's flight controls are completely computer controlled. But pulling the breaker on the FAC didn't mean that the airplane was now uncontrollable. There are multiple computers and redundancies in the system, but it does mean that the functions provided by the FAC were no longer available. And one of those functions is what is known as "flight envelope protection" or more simply stall protection. Without flight envelope protection, the aircraft's computers would no longer automatically guard against a low speed condition or stall. Keep in mind that this vulnerability currently exists in all non-digital flight control airplanes flying today including the Boeing aircraft I fly. Their old school philosophy is that the pilot is the best stall protection. What exactly happened next is still unclear but reports suggest that First Officer Plesel may have been startled by the loss of the FAC. Or he may have been trying to avoid a storm. But whatever the reason for it, he then placed the aircraft in a very steep climb which ran the airspeed down below flying airspeed at an extreme altitude. At this point Captain Iriyanto was able to retake his seat and assume command of the aircraft, but the aircraft may already have been well into the now unprotected stall regime. Some data that has been made available from the DFDR indicates that there were multiple heading changes both before and after the stall warning sounded. It is possible that the aircraft entered a spin after stalling at high altitude from which the pilots could not recover. A spin is a species of stall whereupon one wing is stalled and the other is either not stalled or is stalled less severely. When this happens, the more highly stalled wing has more drag than the partially or un-stalled wing and the aircraft starts to auto-rotate and drop. Many aircraft can enter and exit spins should the correct procedures be applied. Airliners are not counted among those type of aerobatic aircraft. It is doubtful that Airbus even wind-tunnel tested the original design of the A320 for it's spin characteristics. The ability of an aircraft to exit a spin is also highly dependent on it's center of gravity (CG) and beyond certain limits no control input will be successful. Captain Iriyanto had been a military F-16 pilot and was certainly familiar with unusual aircraft attitudes, and may even have had experience in spinning trainer aircraft. But a spinning airliner would certainly test the mettle of the best pilot ever to fly one even if recovery had been possible. I've intentionally spun jet trainer aircraft many dozens of times during my instructor days, and it is a violent maneuver. Doing it at night in the weather in an airliner is the stuff of nightmares. The events I've spelled out here contain a measure of conjecture based on the admittedly sparse data available from various news reports. 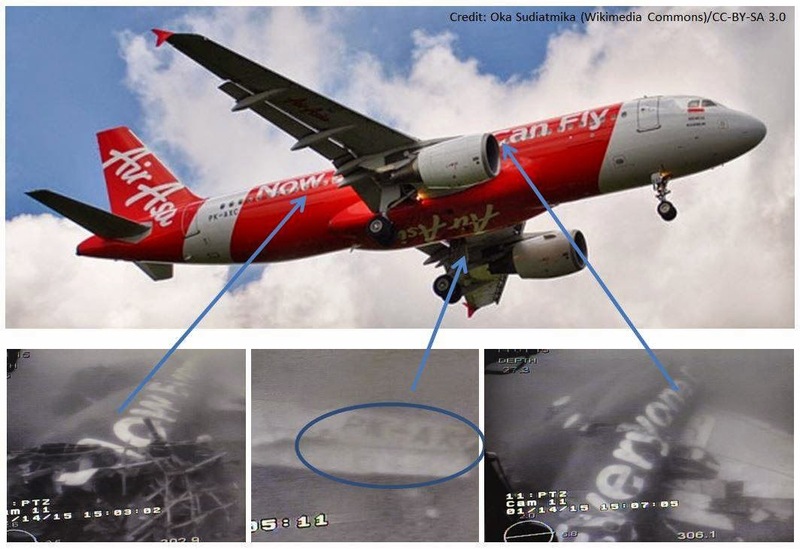 The reality of what actually happened to QZ8501 may be remarkably different once the full report is made known. It is not yet known what the actual maintenance status of the aircraft was nor its proximity to the nearby thunderstorms. These details should be known when the final accident report is released. Instructors and evaluators who are deeply trained in systems and automation are usually stunned when line-pilots complain that the automation doesn't work as advertised. Airlines only give line-pilots superficial training, enough to get them functional in ideal conditions, but not enough to make the automation work in every situation commonly encountered. This has led to deep distrust of automation on the line, and situations like this one where pilots make up their own solutions when what little they have been taught doesn't work. I'm wondering what conditions compelled the captain to not just reset the FAC but to pull the breaker. I think it would have to be significant. Some news stories also suggest that there had been problems with the FAC earlier. This captain was a former F-16 pilot and so should have been familiar with fly by wire systems you'd think.